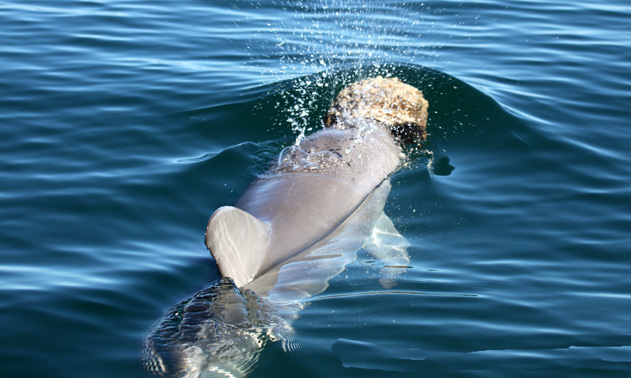 Thanks – it’s hard to resist a good dolphin story! 2. More than one matrilineal line must mean that either the trick was invented multiple times nearly simultaneously (seems unlikely) or that there are rare cases of cultural transmission to females that aren’t daughters of tool users. 3. I wonder if more males will keep sponging as adults when there’s a critical mass of male spongers that can form their own social group in non-sponging time. 4. It would be very informative as to fitness if there are some female daughters of spongers who are themselves non-spongers. Thanks Brian! Your point 2 is a good one; the research articles don’t address this, but I agree it seems unlikely that two females would invent the exact same specialized tactic – it seems more plausible that at some point an unrelated female learned the behavior through cultural transmission. 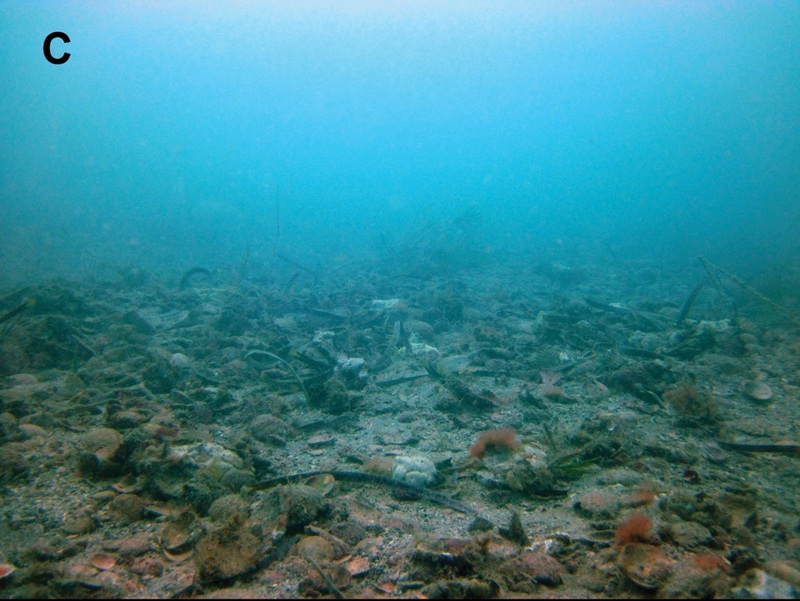 On 3, it does seem that with each study, a greater number of males are observed sponging. BTW, as it happens I just posted a new piece on the social alliances of the male dolphins in Shark Bay (https://animalwise.org/2011/08/08/what%E2%80%99s-up-with-the-male-dolphins-of-shark-bay-who-don%E2%80%99t-use-sponges/). Finally, on 4, per the 2008 report, 10 of 11 daughters of spongers adopted sponging, meaning that one did not (the 2011 paper didn’t have any data on whether any additional non-sponging daughters of spongers had been observed). Hmm. The rare cultural transmission shows a. that they’re capable of transmitting tool-using behavior between a mother and non-offspring and b. either 1. they’re not very good at the transfer for mental/biological/cultural reasons; 2. tool using isn’t vastly superior as a feeding behavior; or 3 combo of 1 and 2. One of 11 daughters doesn’t sponge. The curse of small statistical sets. But the fact that one doesn’t, and most males don’t, means that offspring of spongers can successfully become nonspongers and that sponging appears to be a choice that the dolphins can reject, and by not rejecting, demonstrate its potential fitness enhancing value. The weird thing about it is it seems both new and fitness enhancing. Odds are that we didn’t just happen to show up at the time of expansion of dolphins into a dramatic new niche, which is what something new and fitness-enhancing implies. My speculative guess is that they wipe out the sponges, lose the cultural knowledge, and then have to start over. I think I wrote a comment about it at Carl Zimmer’s place once. 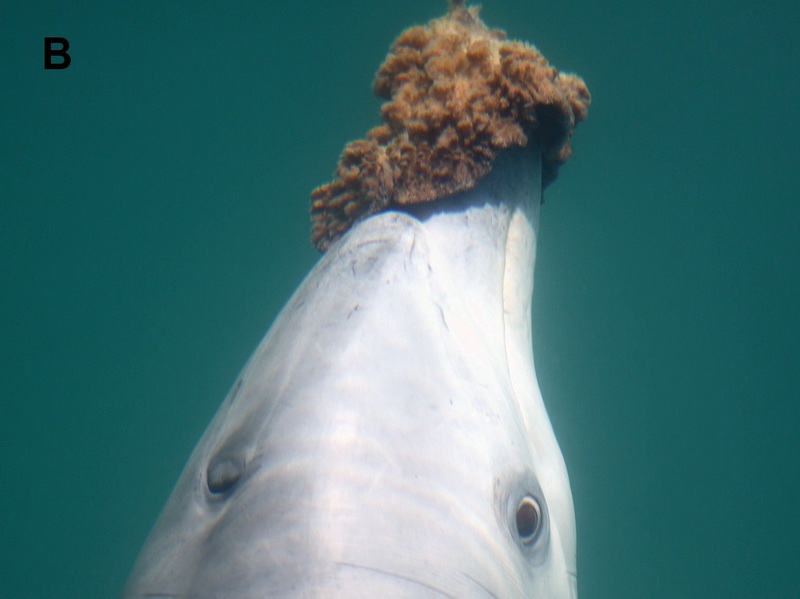 I gather that Shark Bay is a fairly rich and diverse environment, and that sponging is only one of the effective fishing techniques that these dolphins have developed (albeit the only one that involves tool use). 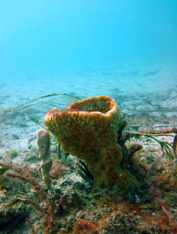 The researchers believe that sponging has enabled a subset of the dolphins to successfully exploit an otherwise unused niche (the deep channel areas where fish tend to bury themselves in rubble at the sea bottom), but that there are other areas – coral reefs, shallows with sea grass, etc. – where the hunting is good as well. That should be fitness enhancing if you adopt the Malthusian assumption that all occupied niches are fully utilized. A new food source should equal more dolphins than would otherwise be the case. It’s hard to understand equal calving success with an increasing population of spongers. Maybe the whole population is increasing from some natural or artificial low point. Anyway, good stuff and thanks!